Your study of American society ends with a look at three of its major aspects for the entire 44 years of this topic. Religion plays a very important role in US politics, even today. Issues such as gay marriage and abortion are still very controversial in the US. Some politicians pride themselves on governing according to their faith. Evangelical pastors preach at mass-meetings, some of which even get televised. How did religion in the US develop in this way? The mass media has a lot to do with it. American TV shows and films have a huge impact on popular culture not just in the US but across much of the rest of the world, even here. How many American TV shows do you watch? Finally, higher education has seen a great number of changes since the 1950s as well, but how accessible is it for young people in America? What factors contributed to the post-war revival of organised religion in the US? What impact did evangelical preachers such as Billy Graham have on this revival? How did they spread their message? How did this revival change religious membership in the US? What difficulties did the Catholic Church face in the 1960s? How were inter-faith relations at this time? What inspired the rise of fundamentalism? Why did Jerry Falwell set up the Moral Majority? What were its aims? What role did religion play in African-American communities? Why did Islam appeal to a large number of African-American people? How did newspapers develop in the post-war years? How did they relate to new forms of media such as TV? What influential events were newspapers involved in? How did the film industry respond to declining audience numbers? What kind of films were popular in the 1950s and 60s? How did channels such as HBO affect the industry? What new kinds of films were developed in the 1970s? How much did TV ownership grow by in the 1950s and 60s? How did cable influence this? What did satellite transmission mean for TV? 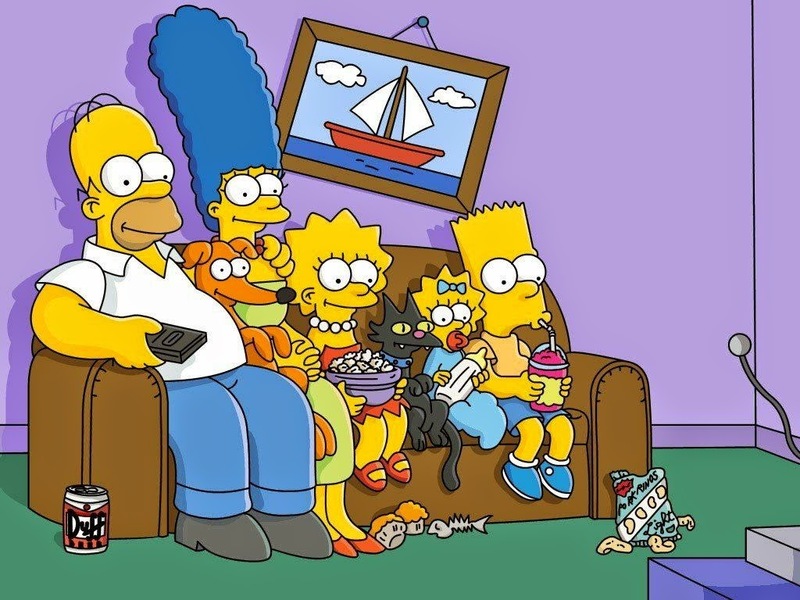 What impact has the increased role of TV had on family life and on society? How does advertising affect what's shown? How did TV impact on politics? (Kennedy/Nixon debate, coverage of Vietnam). Why did higher education see an increase in enrolment? What problems did this create and how did universities try to solve these problems? How did the anti-war movement and the counter-culture influence university life? How did racial conflict influence universities? What was the affirmative action programme? 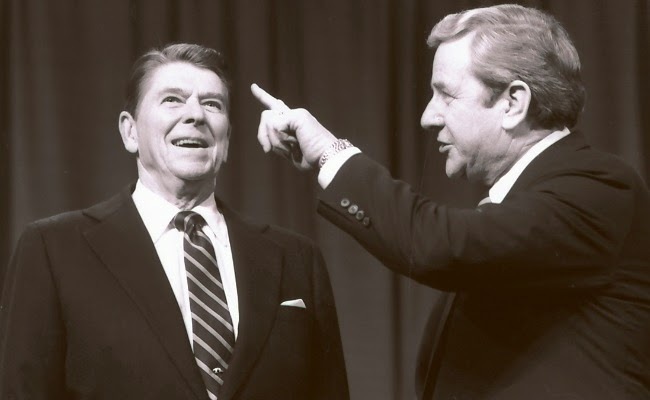 President Ronald Reagan (left) with Jerry Falwell, who created the Moral Majority. 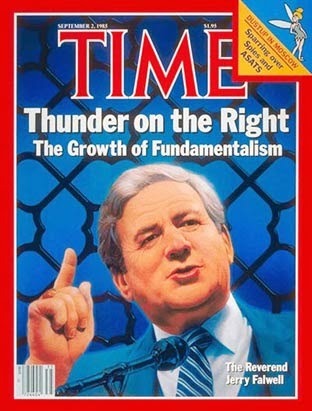 Falwell, pictured right on the cover of Time magazine, wanted to "bring about a conservative revolution". 2013: What was the contribution of religion and/or the mass media to modern American culture? 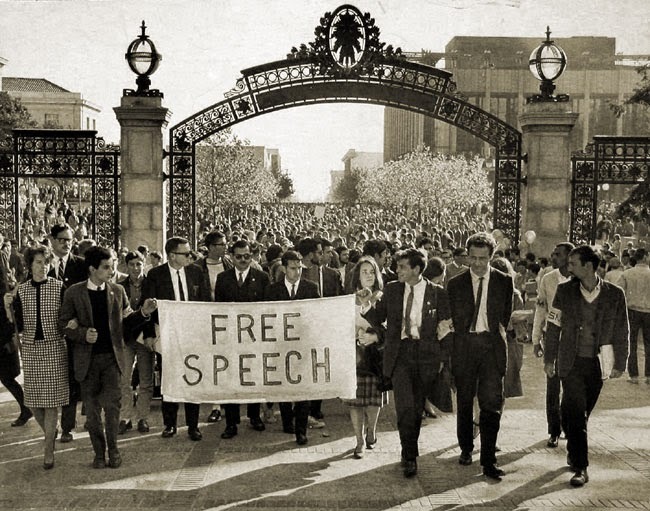 The Free Speech Movement at the University of California, Berkeley in 1964.